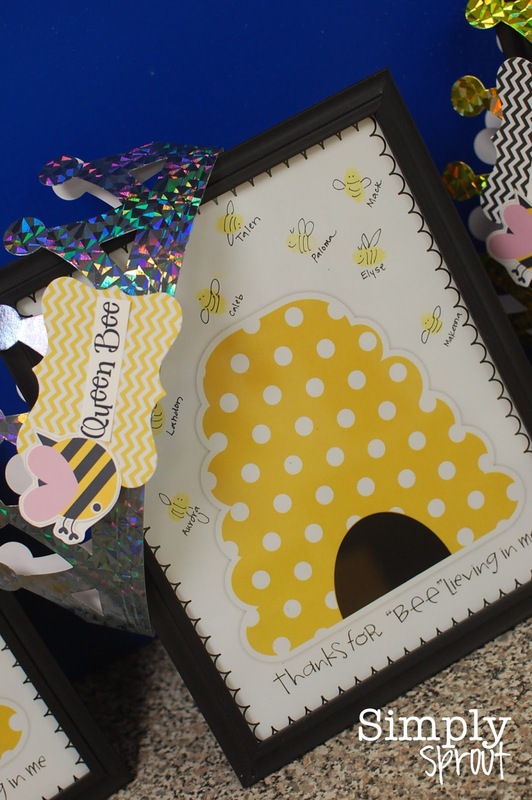 Teacher Appreciation Week is the perfect time to go the extra mile to make the teachers in your life feel honored and celebrated. The teacher in me knows that it doesn't take much to make educators feel recognized and appreciated. 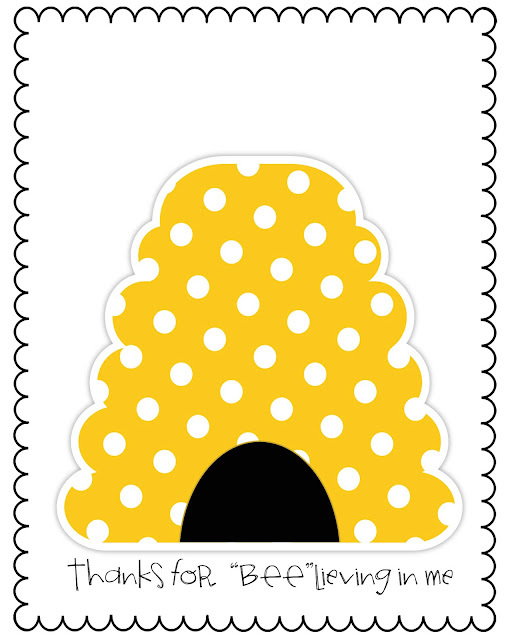 Recently I signed up to help out with Teacher Appreciation Week at my son's preschool. 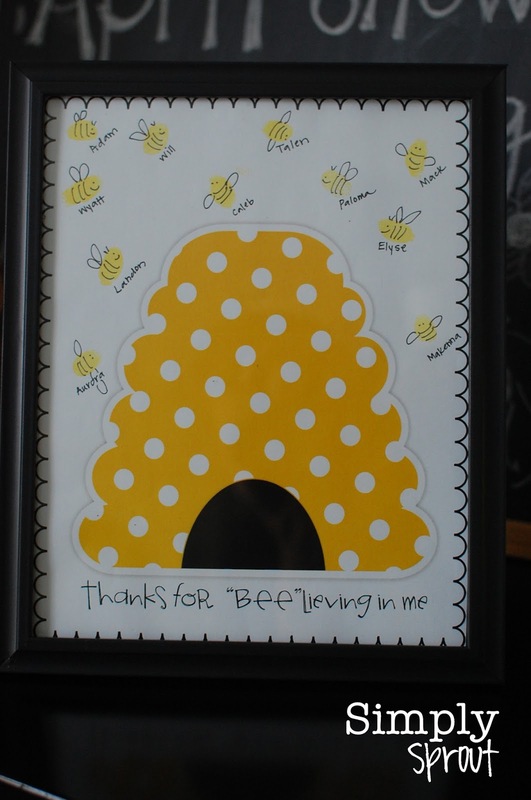 I had so much fun thinking up the perfect way to say thank you to his group of teachers. I wanted to make sure that the classroom come Monday morning made them feel celebrated from the moment that they walked in. But before the decorating began, I also wanted there to be some keepsake for each of them to remember this special group of children. These beehives were the perfect background for little fingerprint bumble bees. So simple, so cute, and so memorable. Right click on the image below to make your own beehive for a special teacher. The door is obviously the first thing the teachers see, so I wanted to make sure it was full of handmade cuteness. 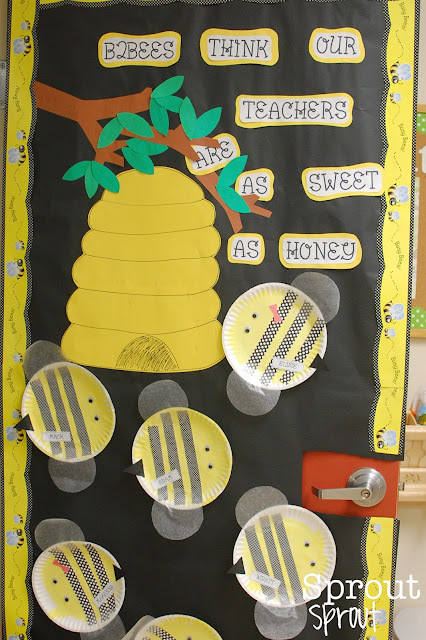 These little buzzing bees were painted by the two year old students. Black and white polka dot scrapbook paper strips were added. As well as wax paper wings, googly eyes, stingers, and of course a pink bow for the girl bees. 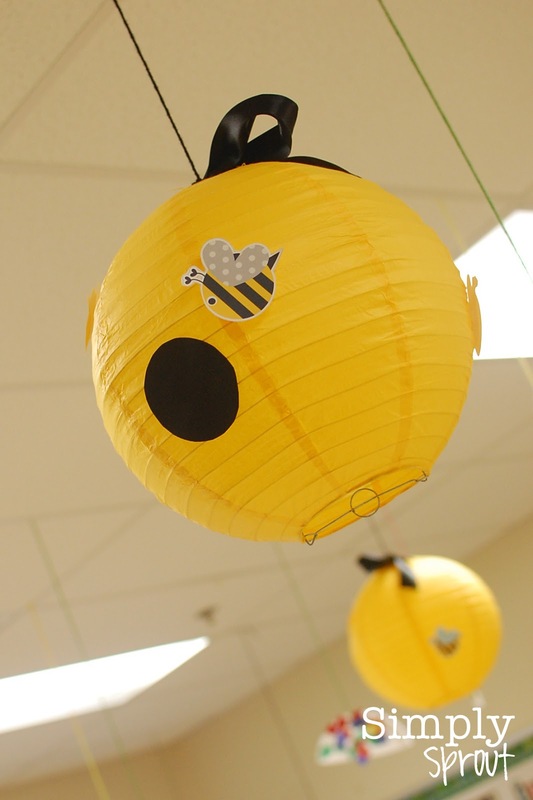 Yellow paper lanterns were turned into beehives. 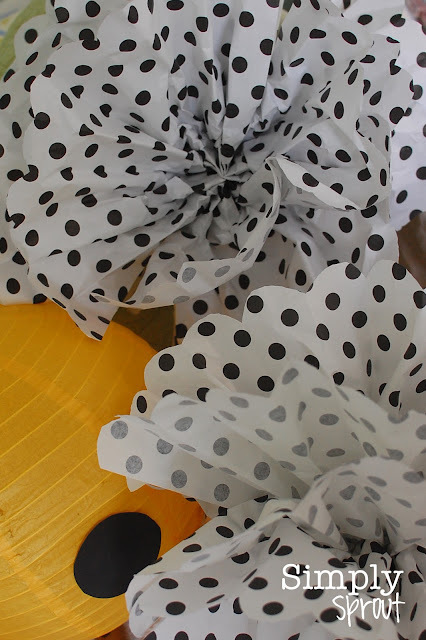 Polka dot tissue paper pom poms filled the room as well. Every Queen Bee needs a crown right?